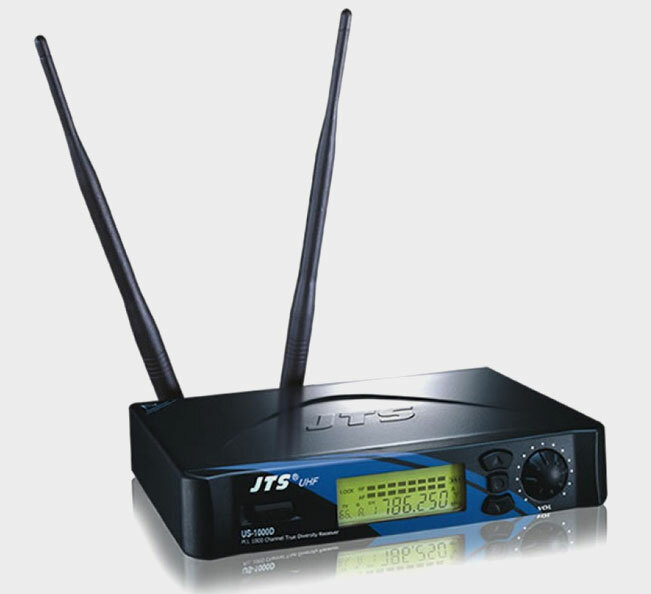 With the advancing wireless technology, JTS wireless microphone systems outperform most of the other wireless systems available in and above their price range. PLL technology provides great freedom from RF interference, and amazing signal reliability allows a maximum numbers of systems to work together simultaneously. 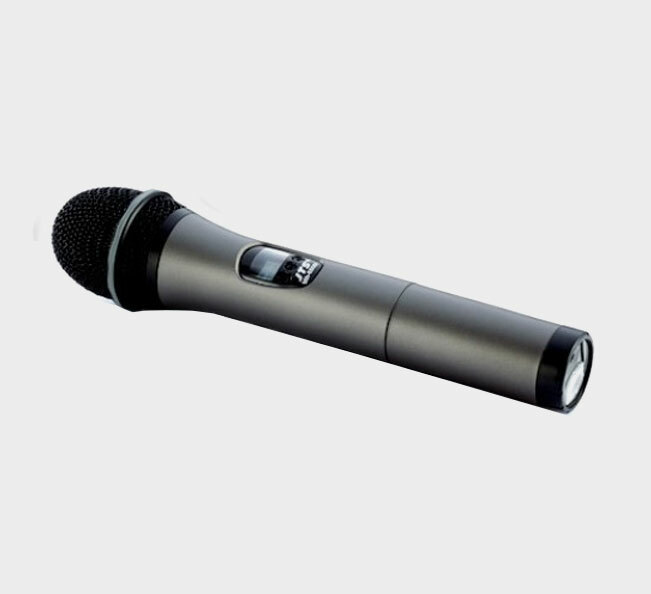 Hence they are the best wireless microphone systems available in the market today. PLL synthesized technology with 961 selectable UHF channels. Preset 4 groups each of 16 UHF channels. True diversity technology prevents RF dropouts. Equipped with S.A.W. filter for interference free operation. Built-in ,noise mute and tone-key squelch. Lock-on" mode avoids accidental changes of frequency, sensitivity and power-off. Balanced XLR output and unbalanced 6.3mm (1/4”) output. Tuned antennas for the most stable RF reception. Compact half rack space design with metal receiver housing. UHF PLL handheld transmitter with 961 selectable channel and Phase-locked Loop (PLL) synthesized tuner. Interchangeable capsule module for either condenser or dynamic capsule.